Inexplicably reborn in the year 2003, having failed terribly in his previous life, the prevailing concern with Xu Tingsheng, that stands above all else, is none other than her. But alas, he is just months away from entering university, while she is but in her first year of junior high… Regarding this, all he can do is wait silently…for now. In Xu Tingsheng’s new ‘second chance’ life, the power of foreknowledge coupled with intelligence pre-empts excellence, and that, coupled with personal charisma and character, begets women. Here he strives for success, while always keeping foremost in his mind that for which he exists, that which his achievements are ultimately meant to protect and cherish. And amidst all this, the season of youth does bloom for the young, deep, complicated romance and spontaneous, hot-blooded fighting never failing to inspire. Philosophical and deep amidst the great, original tale of modernity it tells, this is a thought-provoking story of life, on life, on living. Edit: I'll write a proper review of the full novel if I ever get to it. My original first impression (up to c15) review will still remain below. I will add that, from reading more and cooling off from my initial impressions and being drunk/bias from the promise of the start, that the story is still pretty good, but be aware that there will be some drama and heatbreak especially as other girls will appear trying to get with the MC, who remains faithful. The story is good/decent. 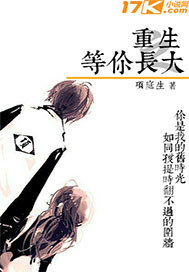 It's a... more>> more realistic second chance and has some good and touching moments and good characters/interactions. As I read more, it's not my kind of novel as there is quite a bit of drama and it's realism and slice-of-life might be boring to some. As a novel I'd give it 3-4 stars My personal rating based on enjoyment after reading more of it, I'd give it a 3. This will be my first ever review as well as my first impressions on the first 15 chapters. To those that want a quick answer for now, just read it. It's very promising and nicely written in many aspects and you should give it a shot. At least try the first 5 chapters. Synopsis: The story is the familiar second chance type novel where the MC dies and returns to his younger self. His goal after getting this second chance is to fix all the regrets of his past life. The biggest regret being not getting together with his past love. Now, this is NOT a second chance story that's all about chasing after that past love. The story and MC doesn't waste his second chance just for one girl. Yes, that romance is a large part of it, but there are so many regrets that he wishes to change. It isn't like Rebirth Thief or MMORPG Guardian or Very Pure and Ambiguous when it comes to the action of our MC. It's a much more realistic and meaningful second chance (at least based on these 15 chapters). MC Backstory: The backstory/past doesn't have that type of forced bitterness or gloom that you say is just part of the setup. It's about a normal man with regrets. He didn't become some rich and successful guy that lost everything along with his love. It's about more importantly a regular man who grew up and had learned the taste of regret and sourness of life. From that grey feeling of living a repetitive and meaningless life as a worker to seeing a good friend he knew at high school marry and face debt, that is his story, that is his past. He is a far more real person than most MCs. Writing: The thing that drew me when I first read the story is the skill of writing shown by the excellent translation and literary skill of the author. The sentences flow and have character. It isn't like reading your average amateur web novel about isekai or cultivation. It's like reading a properly written and polished work as if it was an English writer making a Chinese styled novel. If I have to compare, I'd have to rate the writing it as the same or above when I was impressed by Dungeon Defense or the poetic chapters of Transcending the Nine Heavens. It also gave the promising atmosphere from novels like Big Life, God of Music, and God of Cooking. When it comes to the writing, I think you'll like it. Huge props to the translators. Story: Now to the actual content after the rebirth. MC returns to when he was in the last year of high school. This is important since it's the period where most of his regrets lay as well as a crucial part where many decisions will affect his life. The story follow mainly him and his school life, preparing for university, his best friends, many school incidents and news-worthy/world incidents, relationships, girls etc. We know that the heroine/love is younger than MC by 4 or 5 years so she's still in junior high. This plays a big role since like the title MC wants to be ready for when he reaches that point of meeting in the timeline. Why does he leave her alone till then? Because he older, she doesn't know him, and he doesn't want to affect her growth. Well, he still can't help himself to do some small things though (he never done anything so far that seem major, no reveal identity, no talking to her, so from the sidelines). It's up to him sending a package of medicine and looking for her to check that she exists. The appearances of the love up to ch15 is very little though. MC also has to deal with some past regrets. One preventing the death of his father. There is also University. Helping his BFs not have to repeat a year as well as improving his future in general like financially and his relationships. There are also some incidents that happen at school that make the plot not boring as well as maybe drama from some girls. The MC uses his second chance to fix many regrets of his past. This is done realistically and more than most novels. His actions have an actual effect and consequences. His future knowledge also is not a broken cheat and doesn't affect much other than him wanting to change the past. His memories are also not perfect and it also shows that somethings can't be changed and somethings can. When it comes to the focus, it's not all romance, but more about MC fixing things and his relationships with friends, family, and girls (there MIGHT be drama from girls and "harem", but MC is faithful and so far the other girls are done in a "not a true wifu but is a girl character there kind of way"). It definitely doesn't seem to be annoying harem drama instead a faithful to heroine type of romance. There might be drama and heartbreak since there is development in the future, but so far it's done in a light way that doesn't weigh too much. I hope that in the future the way MC deals with the girls go well since so far it is done in a nice way. The writing and events add emotion and personality to the characters. I especially find the MC to be a good guy that readers will like. The others characters so far don't have too much importance or personality to the story since it's through the MC's thoughts, but at least the connection the MC has with them seem more real than in most novels. By the way, this novel has a lots of EMOTION, (at least currently) not the bad kind of emotions. This story is realistic so it has a lot of real life reactions and events so it won't be a total wish-fulfillment MC solves everything as is coolest type novel. It shows the actual realism of life and the emotions of the MC. This novel has one of the most hypocritical Male leads in the CN novel history. He went back in time with intense feelings for his one true love, but once there he turned into a lady killer. He resolved himself to not ulter the reality too much, but all he did was changing the past. He casually stole famous songs and worked as a cupid for his friends love life. He used the reason "I am kind and soft hearted" to produce feelings for him in the heart of girls complicating his... more>> relationship with his one true love in the process. It would have been alright if this was a harem novel but, what he is doing is in no way justifiable just by the reason that he is too soft hearted. At one point we see him wavering in his feelings for his one true love. He will cause other girls to produce feelings for him with his kindness, but he will reject them for his one true love, this just goes to show how much scum he is. This novel is about how other girls fall for him and how he rejects them for his one true love. This is a true slice of life novel. It will make you sad and connect with the characters. The side characters and main characters background is really well done. It is also really believable the emotions depicted in the book and the irrationality of "love" and sometimes you just cant control who you love. I like it and the author shows human emotion in a true sense. First review and made an account just for this. ~I recommend if you like drama and being touch and you may be sad at some... more>> of the choices the MC makes but it keeps his integrity and character. Its a train ride if nothing else. "he is just months away from entering university, while she is but in her first year of junior high... "
Jokes aside, I'm always up for well written romance novels, especially when there is an age gap, since that usually means there will be lots of societal pressures placed on the MC, and seeing the MC get over that and continue their love is something that I've always enjoyed. Ever heard of too much something and it will become poison? well in this novel case it's so realistic that you find it missing something that actually make it a 'novel'ty, the main character seems to be distracted by something or someone most of the time, and seems to forget something's actually more important than what he's actually doing, most of the time. he's been rebirth. Do something amazing with it? 'Meh' "no, i'll just play like other teenager out there while ocassionally help someone else I know in my past.... more>> Oh and I'm obviously gonna be rich LMAO"
well apparently he also lose his IQ with the rebirth, it's sooo irritating. How he act, he's an adult that know what's life like in his past life..
there's this 'only when he play a soccer can he act like his real teenager age' I call bs for that one. He's always was. then again it's my personal opinion. if you want something that goes with a BANG! After mc's somehow gotten a rebirth. Look somewhere else. if you can get pass that, and just like the 'DoOver' generally, you'll probably enjoy this. This novel is for those who like drama and complicated relationship. As a man I can't stand this main character. I liked the way the novel was initially setup, but the MC is the biggest hypocrite and wuss I have ever seen. He goes against everything he said he was going to do. He said he was going to live the next life for his love. But what does he do? He emotionally cheats on her with every female character that he helps that somehow always falls for him. ... more>> This novel should have just be written as a harem for virgin man. No real man will treat the person they loved for so many years like this and still be able to rationalize their decisions the way this man does. He acts 'kind' and misleads so many younger women. Dude, you are 31 yrs old and still preying on these young innocent women. This man leads on girls like crazy and doesnt even have the heart to reject them. At one point he even starts to think he can let go of his main reason for rebirth. This is not a loyal man reliving his life for the women he always loved. This is the story of a selfish, weak-willed man that fully deserved the ending he got in his first life. Now with the power of rebirth he goes around leading girls and stealing songs and business ideas. This man is a selfish hyprocite. Oh wow this is really great. Its a school life novel, love interests and the MC is really intelligent and uses a lot of the memories he has from his past life. Not nearly enough to get extremely rich yet though. It also gives you this fluffy feeling while also being serious and I binge read 32 chapters already today. Edit: nvm, I dropped it. It was a pretty good book up until chapter 350~ or so. The characters were pretty well developed, especially the girls who are interested in MC. MC on the other hand is one of the worst parts of the story, he is a weak-willed and average guy who only accomplishes things due to his foreknowledge. He is also the biggest hypocrite in existence. He time and again spurs the advances of both beautiful and very interesting women for the sake of his one true love from the previous life. This... more>> would've been fine if she was an interesting character, but oh no she is just as bad as those cardboard-cutout random harem girls from 3rd grade xianxia novels. Oh by the way, the reason things didn't work out between them is because he is an utter idiot (not a spoiler as it is seen in the first chapter). And what do you get at the end ? All these interesting females and their interactions are thrown aside for the sake of some 16 year old kid with no defining characteristics at all. Honestly the worst girl in the book is definitely Xiang Ning, nothing unique other than the fact that she is his previous love. Book becomes awfully boring and pointless after they get together, not to say how awkward were the chapters of him pursing a bloody 14 year old. Honestly if I were to meet this guy in real life, I would bash his head in for the sheer magnitude of his moronic thoughts and actions. He bloody causes some girl to almost kill herself because of his idiotic actions. I commend author for how extensively he f**ked-up the second part of this story. There is no happy-ending here, only sheer autism of MC. And even from the business management perspective, you don't just leave business to run on their own before a corporate structure is achieved, which takes several years at minimum. Its good, the MC seems rational and feels like an actual human. Altho he tries his best, but sometimes his emotions burst out giving him an extra "beliveable" push. I guess thats a cheat on its own way. Warning: If you dislike harem like me don't read this. Good translation, good plotline, the MC is likable.... if not for his hypocritical and indecisive attitude towards romance. Dude, he claims to love someone but pick up different girls. Hell, it should be okay if he help female character but he just has to make them feel like he cares for them so much that the girls can't help but hope they have a chance for his love. He rejects them and yet, he keeps them in arm's length. I dropped this... more>> because I was expecting some semblance of loyalty to his supposedly true love in his past life. But there's none. He picks up girls from left to right, helps them, flirt with them with some dirty jokes that promises forever, and then rejects them. This is a lovely novel. It's got a poetic, philosophical touch to it while still being a nice reincarnation story with an above-average MC. I absolutely love this story. The translation could be better, but I love it nonetheless. I'm glad that he stays loyal to his love interest and hasn't undergone a complete personality change. I wish I could give him a hug for the amount of smiles his actions give me. I love his accomplishments and hope it keeps getting better. 😉 Please read. My friends and I have a group that meet up and talk about stories we are reading and find to be unique and form within us a strong sense of emotion, be them good or bad. A story I bring up time and time again is this one. It is very human but at the same time, he is too plot oriented. He doesn't realize things unless the plot requires it or knows the whole time and drags it out for drama. 3. MC doesn't act the age he is. 4. The MC actually has a purpose in mind. Now my opinion. This story is a masterpiece scratched right down the middle. The MC is so indecisive you question how he made it 31 years along with how at his final moments of life he's so gung-ho about chasing after the girl he loves. Then every move after he calculates 10 moves forward besides, you guessed it, the choices surrounding that same girl. Yes I know that is actually a well-written idea and executed well but I feel something is always missing. Though if his only plan was to end up with her again he would idle away his years making the same choices and mistakes again but eventually seeing her. He instead creates butterfly events changing the course of his history. He wants to fix the faults of the girl's past. My initial thought was great, he is trying to be there for her through her hard times. He loves her and is willing to give up everything in the world for her. Went into the group brought up the story, we all read 80 chapters over the week and then talked about it. We enjoy the backstory and how he wants to solve the mistakes of his friends and those around him. He doesn't want money to be rich, but to be rich because that is what brings his family a better life. Now where my thoughts changed. This story is built on the butterfly effect and I feel that itself is executed well and to the T. This is the story's scratch down the middle though. The MC is unwilling to even so much as look at another girl and so much as believe she could be better than his lover from the past life. But who is to say that the girl he loved then and the girl she is now will end to be the same person? Confusing? Sorry. Let's say, person A lost their dad they would always be looking for a father figure in their life. Now you go back and time and make it so they don't lose their dad. That quality in their previous life is no longer a part of them now in the new life. MC is going around changing the girl's past and it won't have changed it to her personality? You mean to tell me she will be the same person in both lives even with her fate changed? On a story made around butterfly effects, this seems like a big one. He pushes girls away constantly unable to be with them because his heart can't belong to them. Can the girl you love now be the same girl even when her past has been changed? Can you be wrong about the person you love? The reasons I love this because the MC is rational, smart but not in imgeniusineverything way, he also try to help others around him (friends n fams) but not in the annoyingnaruto way 😒, tried his best. First things first, you won't be able to find anything revolutionary or mind blowing plot in this reincarnation story. But it certainly is refreshing from all of the cultivating reincarnations as it's set in the modern times. The pacing is ok and won't make you fell like it's rushed or too slow. The MC doesn't have superpowers or OP brains for revolutionary inventions ect., just his own life experience. Which gives the story a more realistic vibe. And if you're familiar with the Chinese/asian culture around highschool and studying then perhaps... more>> you will able to relate yourself to particular things that happen in the story. The supporting characters all get an introduction and some background here and there. And although the key supporting characters seem to have their own personalities, they aren't exactly very deep. But that could change as more chapters get translated. As for the romance, it will not be a harem, (the tag is also not there). The MC only loves this one girl while he does handle the other girls quite good (nothing inappropriate). The translation is done very well, as usual from Volarenovels. Though it has some minor errors, which is probably due to the mass release. My dear lord how haven't I happened upon this novel sooner? SWFM will make you cry, laugh and all warm and fuzzy inside all at once. Whilst being a second chance story, the story doesn't leap into him becoming a super god due to his prophetic knowledge straight away, instead the romance aspect gives the novel a chance to take in the relationships and life around him. This novel is not a harem, at least it doesn't seem like it so far. The MC is a super nice guy and because... more>> of this he doesn't want to reject the multiple women who are interested in him. This does lead to him not really being with the female lead a lot of the time, which is disappointing because I was really looking forward to him watching over her as she grows up. A major disappointment in the novel is that the romance seems way too rushed and easy. All girls fall in love with him, with the only exceptions I can recall being those who were married or already in a relationship. It feels overwhelming at times. Angst. How is that not a tag? Well, the whole story made me feel emotional. Most of it was frustration or sadness, but there were great moments where I was happy. The author throws in success and comedy, but, damn, the harem. Okay, it's not really a harem. It's just a bunch of girls that the MC can't seem to completely cut off. He's too much of a nice guy. Even though he's been becoming more and more ruthless, he's still soft. The angst in the story is mostly from the romance... more>> and him trying to guiltily reject every single lovely girl that isn't his love. He loves most of the girls, but he only has one girl in his heart, which causes the angst. Too many awesome girls, one dude who loves his female lead. Don't worry, the pedo/loli jokes end quickly... refer to the literal translation of the title. He's waiting for her to grow up after his rebirth. The side characters are memorable, but I feel that most of the development is towards romance. The plot is interesting, and the author doesn't just use MC's cheats. The MC is pretty mature. I was bored for the first few chapters, but then it got more interesting. It got frustrating eventually, due to too many best girls, but the MC's started dropping them, so I feel less frustrated. Worth reading up till point where the relationship is publicized. After that the author himself admits that he's dug a pit that he couldn't write his way out of. The MC grows too influential and takes a turn from his original personality which is heavily influenced by decisions stemming from desperation. After that the story drops. Honestly some of the best 450 chapters I've read, really enjoyed them. I'd recommend reading whatever is translated. I'd stop once they get together and call it quits. It's 5/5 up to that point.